This gorgeous deep holiday red Phalaenopsis orchid is one of a kind. 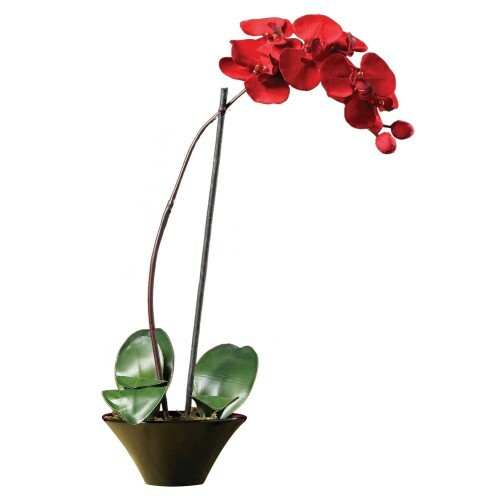 Large orchid blooms, realistic buds and green leaves bring this piece to life. At 20 inches tall and set in a stylish black ceramic dish this piece is sure to set your holiday season on fire!